Better late than never. 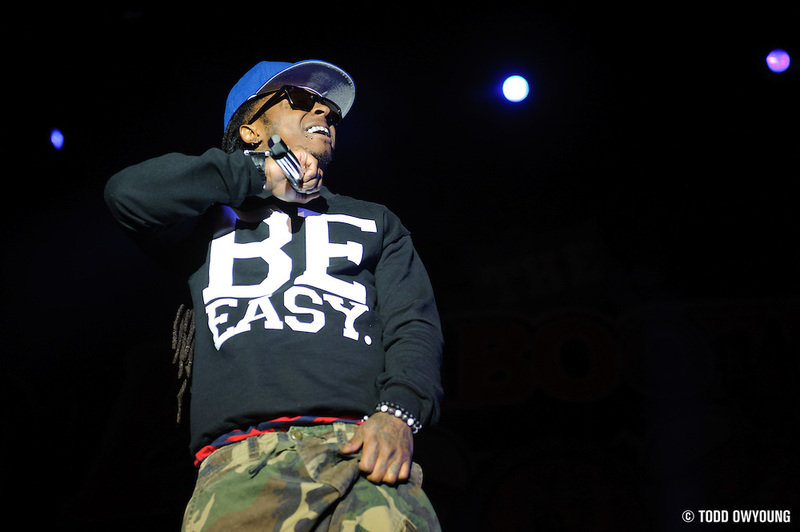 Without a doubt, Lil Wayne's performance at The Bamboozle was one of the biggest of the festival in terms of star power. 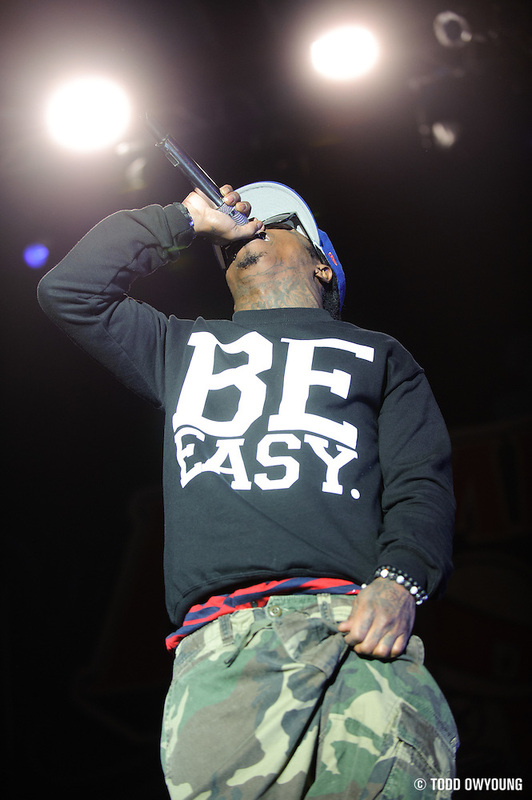 As a photographer, one of the questions for this show was whether it would be a pit shoot or from the soundboard, as the rapper's I Am Still Music Tour had been this year. 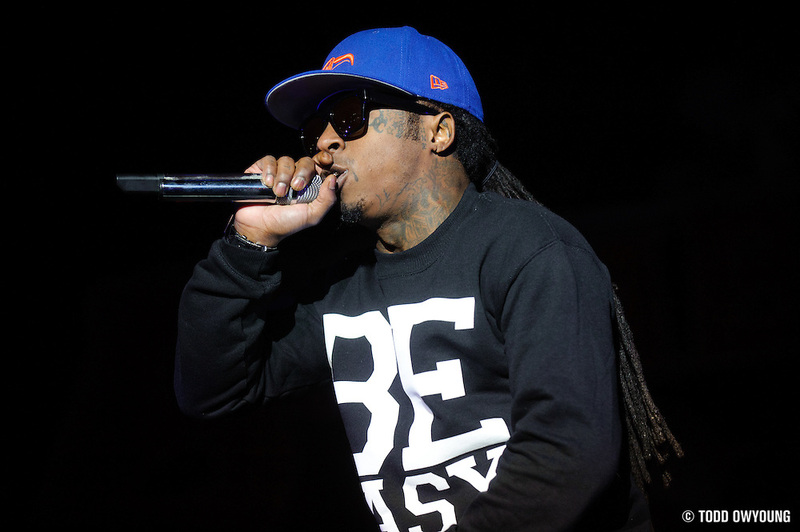 Before the festival, I had the suspicion that Lil Wayne's set would be from the photo pit, rather than soundboard as was the usual modus operandi. 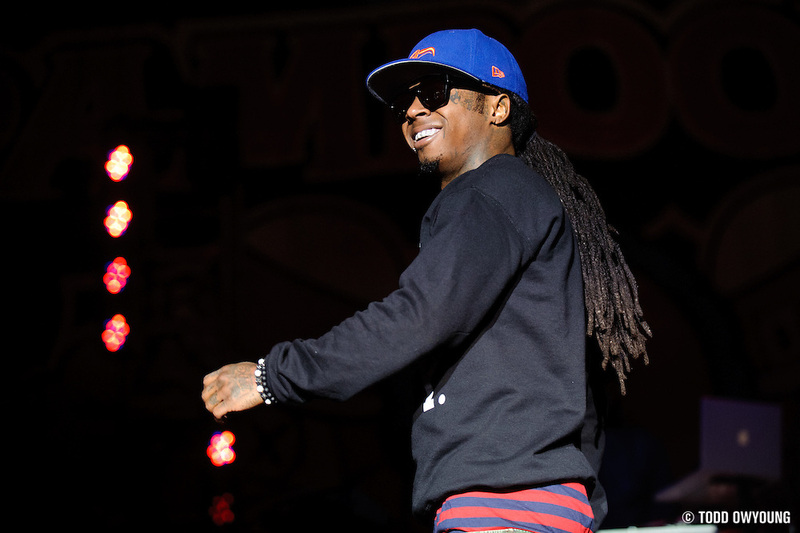 This was due to fact that festival appearance often carry different rules than an artists' headlining tour. In addition, though Mötley Crüe's management had specified a contract and soundboard restrictions, no other special instructions were given out beforehand. 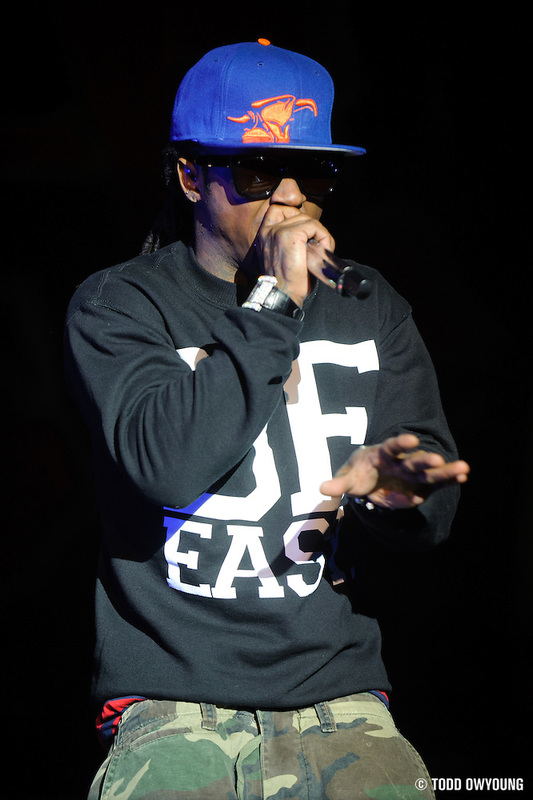 So, while it wasn't a sure thing, I had the feeling that Lil Wayne's Bamboozle appearance would be up close and personal. This hunch turned out to be right. The treatment was pretty much all spotlights, with the bare minimum of other effects. At most, during the first two songs, there were some LED strips that fired up on occasion, but spotlights dominated this show. 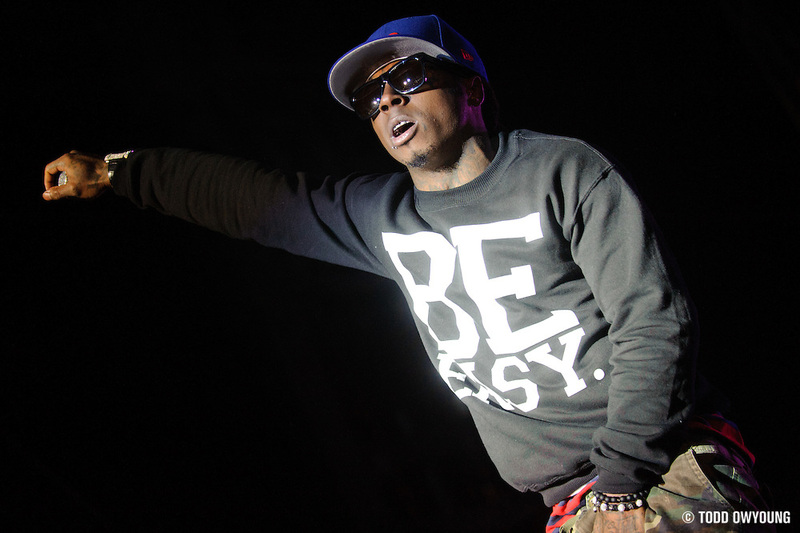 The result was Weezy photographed against a black backdrop. In contrast to the I Am Still Music Tour, this was a pretty stark treatment, though overall it did make for cleaner images. Still, this just begs the question – would you rather shoot from the soundboard with a more lush treatment, or from the pit with just a spotlight? For this set, I shot almost entirely with the Nikon 70-200mm f/2.8 VR on the Nikon D700, which was just about perfect. 2) losing that intimacy from the pit, the feeling of grabbing a solid shot right when the shutter is clicked. but sometimes, it’s worth it just for the feeling of being in a huge arena with 1000’s of adoring fans. That is electric.